Earning your master’s degree in public health (MPH) is a smart educational decision, but the best way to ensure that you will secure good employment when you graduate is to obtain practical public health experience when you are in college. The good news is that many universities and related organizations offer internships to qualified MPH students. An internship in public health provides you with real world experience while you are earning your degree – you have the chance to apply in the real world what you are learning in the classroom. Internships usually occur while you are in graduate school, and often in the summers when your classroom time is reduced. Some internships offer a small stipend to provide you with some degree of financial support while you are in graduate school. Other internships are unpaid, but provide you with extremely valuable experience. Oftentimes, the organization that provides you with the MPH internship eventually hires you full time after you get out of graduate school. Your internship will give you the chance to integrate your classroom learning and practice in an active public health organization. Most interns are able to contribute to the resources of the community and organization, and to help offer solutions to public health problems. At the same time, you gain personal confidence and leadership experience in public health. Public health internships are an integral part of many MPH programs, and are the major way that you will be able to strengthen your public health knowledge and skills before you graduate. Many programs require you to complete a 200-300 hour public health internship as a requirement to graduate. Global Public Health Internships with Naturopathic Medicine for Global Health (NMGH). 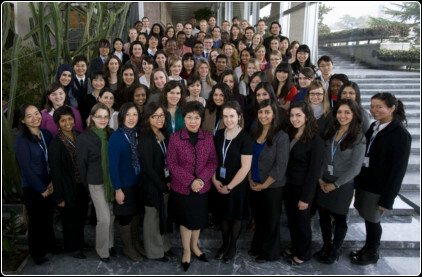 World Health Organization Internship Program: WHO offers many public health-related internship opportunities to undergraduates, graduates and degreed professionals. You will gain expertise in the technical and administrative programs of WHO. Association of Schools and Programs of Public Health: This leading public health organization offers strong public health experience in internships that are conducted in concert with the CDC in Atlanta. University of Missouri MPH Internships: All MPH students must complete a 360 hour internship in a public health agency, while being supervised by an experienced public health expert. 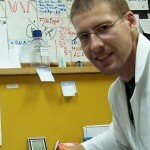 American Society for Microbiology: This leading society for microbiologists offers many types of public health internships for graduate students. The World Bank: This leading international organization offers many internships around the globe to highly qualified public health students who want to obtain cutting edge public health leadership skills. American Public Health Association Internships: Undergraduate and graduate students are eligible for these unpaid internships and are very beneficial to those who want to acquire practical work experience in public health. USAID Student Internships: USAID offers paid and unpaid internships in health, education, environment, agriculture and economic growth. Most internships are located in one of the organization’s offices in Washington, DC. Center for Science in the Public Interest: CSPI offers a number of health and medical-related internships to qualified medical and public health students each summer. Health Resources and Services Administration Public Health Internships: Each public health master’s degree student will complete a one semester rotation in one of the organization’s offices in Washington DC. National Association of County and City Health Officials Internship Program: This organization offers one year internships for undergraduate and graduate students in public health that have at least one year of office work experience. International Medical Corps: Provides public health and medical internships to graduate students and professionals who want an international medical-related internship experience. PATH Internship Program: These undergraduate and graduate internships are designed to help to train the next generation of global health professionals. University of Buffalo – Office of Global Health Initiatives: The University of Buffalo offers many internships and fellowships to public health students. Some are paid and some are unpaid. Public Health Institute Internships: These public health internships are available to graduate students with at least two years of work experience. These internships are designed to create a future group of expert public health professionals who are ready for the latest public health challenges.